From projects small to large, new and old, we create systems with the power and performance to transform your lifestyle into complete and brilliant experiences that fit your needs and are easy for your family to enjoy. With one touch dim the lights, stream high-resolution music, turn up the heat, lock the doors and arm the security system. Or, check in on your home no matter where you are. It’s a smarter living experience that you’ll wonder how you ever lived without. From scheduling your home to wake up before you do, to creating the perfect atmosphere for a dinner party, or turning on the lights and your favorite music to welcome you home at night, modern Smart Home technologies make it easy to have everything exactly the way you like it. Our systems are crafted to be so simple, and so enjoyable, that once you've turned your home into a Smart Home, you'll never want to live any other way. Fortunately there are lots of technologies at our disposal to meet your specific needs. 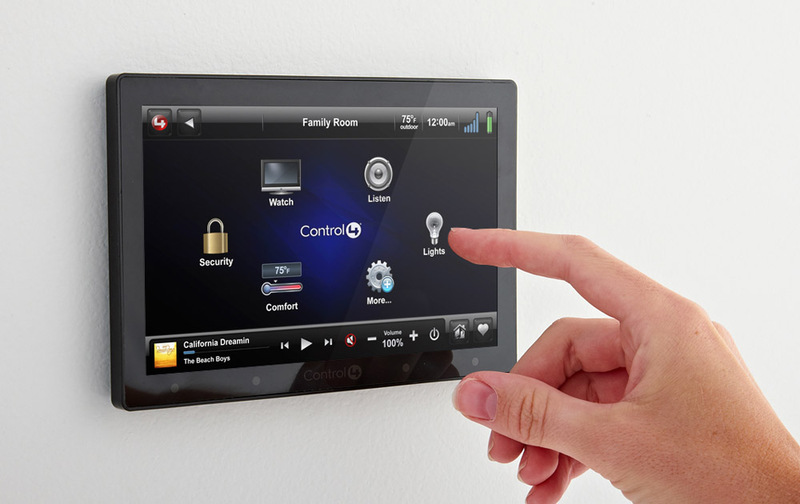 The Control4® platform is an operating system for smart home systems. By connecting to and managing the many devices in your home, this robust and reliable platform enables your favorite products to work together in orchestration, personalized to the way you live. Founded in 2003, the company mission is to deliver an elegant and more affordable way to control and automate lighting, music, video, security and energy in a single room or throughout the entire home. Control4 solutions interoperate with nearly 10,000 third-party consumer electronics devices—and that number is rapidly growing. By partnering with the biggest brands in consumer electronics, appliances, energy, lighting and home security, Control4 leads the industry in interoperability, ensuring an ever-expanding eco-system of devices will work together in the home or business. Everyone likes things in their home to be just right, and Savant makes it possible, because they've designed their systems to match the way you live. Through advanced technology that makes things simple, Savant helps you create unique experiences in your home—experiences that reflect your personality, preferences, and pace of life. For ten years, Savant has been the home automation brand of choice for the world's most luxurious homes, castles, and yachts. Now, for the first time, the experience is available to everyone.